We're facing a great many challenges this century. To face them effectively, we benefit from concrete, visual perspectives of what our world can look like going forward towards a sustainable future. This projects joins over 150 experts in sustainability, design, engineering, and policy to create a realistic perspective on a positive future. The perspective are made by content experts, and is made tangible by specialist teams of visualizers. The results are globally applicable, concrete images of the future, that we can believe in. Images of how we will live, work, produce, move, love, relax, and progress. We aim for a globally influential project that shows that a better life is not just possible, but a desireable, attainable future. 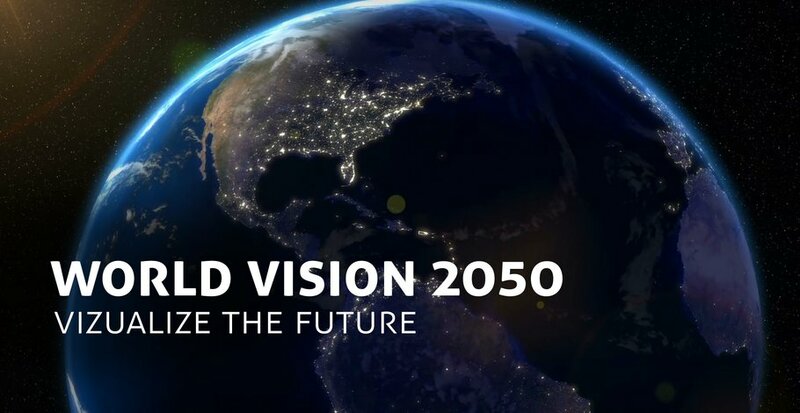 What is the World vision 2050? We believe the world could be a better place to live in. 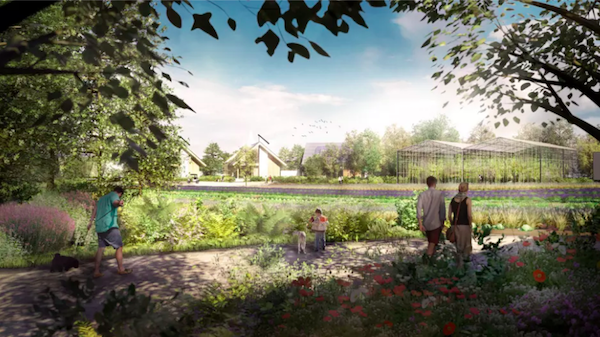 A world that delivers all of us the best from living with nature, advanced technology, renewable resources, innovative design, resilient economic systems, socially just practices, and smart policies. This is not a new idea, and not our idea alone. But, we think these ideas need more traction and support to be realized. We believe that this benefits all of humanity, for all places, positions, and perspectives. This is humanity's joint challenge. We want to make the best world for ourselves now, for our children tomorrow, and for generations to come. We accept the vast challenges this brings, because our world is nothing like this now. Currently, we are heading towards a miserable future for many. We face climate change, economic fracture, resource scarcity, and vast social disruption resulting in untold migration. We do not want to go there, or at least, prevent the worst. We are thrilled in believing that there are solutions in working towards a future of abundance, and a flourishing humanity. We see there are a plethora of solutions ready to activate this better future. But they are not yet universally supported, hindering our progress. We see that activating them requires global cooperation, across borders, throughout supply chains, and between cultures. We see that just words and lofty promises are not enough. To visualize a realistic better future is an important part of our challenge. To enable this future, we need to show what it could look like. That is what this project is about. We will create a realistic, scientifically supported, manageable vision of this flourishing future. We need to show our future homes, our cities, our industries, how we interact with the natural world, and what our lives will look like in this world. And to gain traction on this vision we need to show how we can do this, economically sound, and socially just. We are set to make this vision, using our best creativity, science, and business models. 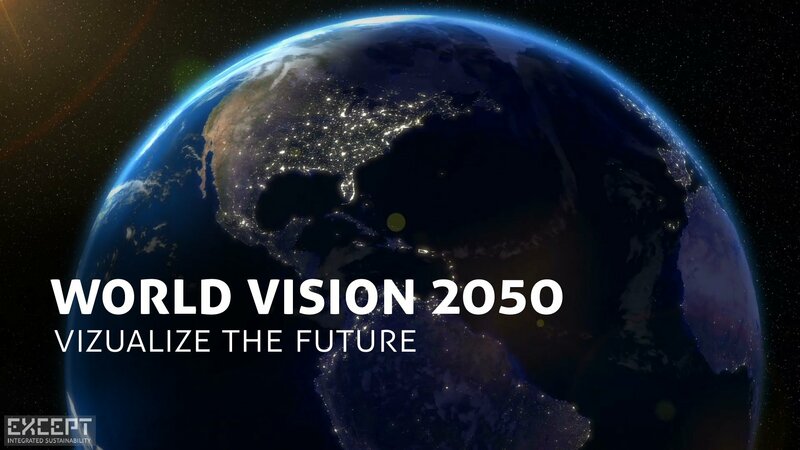 That is what the World Vision 2050 is all about. We're working towards concrete, visual examples of truly sustainable cities, buildings, industry, and ways of life. The integration of ecology with industry, the embedding of biology into our every day life, the full closing of cycles of production, consumption, and recycling. To create what would be the components of these visions we'll bring together some of the most brilliant minds in sustainable development. We record the elements, and describe their real world possibilities. We then visualize them in the most realistic way, as if they are part of life. Not some utopian vision, but matter of fact images of what we hope our lives could become. Not just butterflies and happy children, but images of the full context of our complex existence. 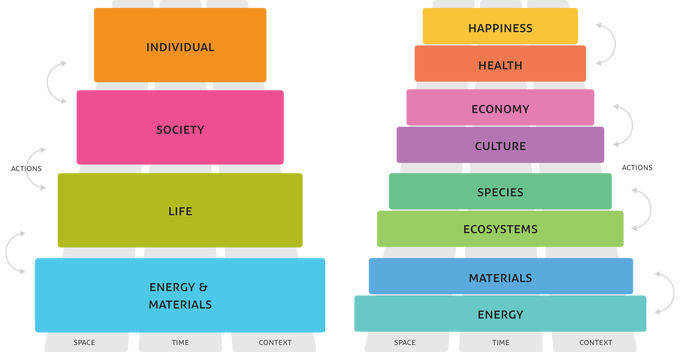 We will be gathering about 4-5 teams of experts on sustainable development next year to help develop the content of these visions, and then translate them into concrete design ideas. Then we need to visualize them. For this purpose, we will have a team of expert visualizers stand by to generate these images. We hope to make a book of about 25-30 images (5-6 per team), with explanations. This will be a massive undertaking, we believe more than 150 people will be involved in producing this. We are looking for visualizers to translate detailed image descriptions into realistic visualizations. We're looking at support for management, funding, and marketing. A first goal is to achieve enough funding for the entire team to fly over and join a week long work session in 2019 in UCo.